. "Canada at the 1924 Olympic Winter Games". The Canadian Encyclopedia, 20 March 2018, Historica Canada. https://www.thecanadianencyclopedia.ca/en/article/canada-at-the-1924-olympic-winter-games. Accessed 21 April 2019. In 1921, despite the reservations of Pierre de Coubertin, founder of the modern Olympic movement, the Olympic Congress voted that the IOC should arrange winter sports competitions in conjunction with the Olympic Games. 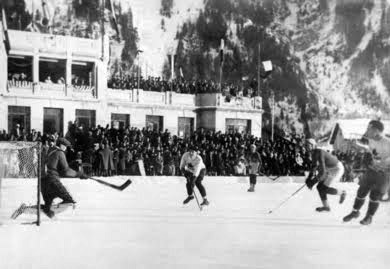 In 1924, a separate "International Sports Week" was held during the winter in Chamonix, France, in celebration of the Paris Olympic Games later that year. Of the 258 athletes from 16 nations who competed, 245 were men and 13 were women — the only sport open to women at the time was figure skating. The games were a great success, convincing Pierre de Coubertin that winter sports belonged in the Olympics. During the closing ceremonies, he announced that “winter sports have about them a certain purity, and that is why I was inclined to support and nurture them in this Olympic environment.” The Chamonix competitions were retroactively named the first Olympic Winter Games. The first Olympic Winter Games gold medal was awarded to Charles Jewtraw of Lake Placid, New York, for the men's 500m speed skating event, while Finnish skater Clas Thunberg won five medals overall in speed skating. Norwegian Thorleif Haug dominated the Nordic skiing competitions, while Norwegian figure skater Sonja Henie made her debut at the age of 11. Although she finished last, she would go on to win gold at the following Winter Games in 1928. 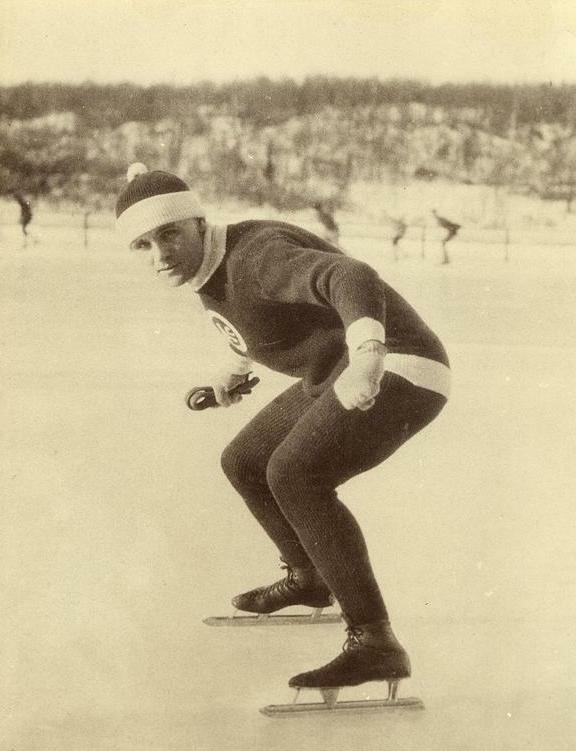 Canada sent 12 athletes to the 1924 games in Chamonix, including figure skater Cecil Smith, the country’s first female Olympian, and her pairs partner Melville Rogers, as well as speed skater Charles Gorman. The nine-man Canadian ice-hockey team, comprising Granite Club players from Toronto, won all five of its matches, outscoring its opponents 110 to 3. The closest contest was the gold-medal game, in which Canada defeated the United States 6–1. 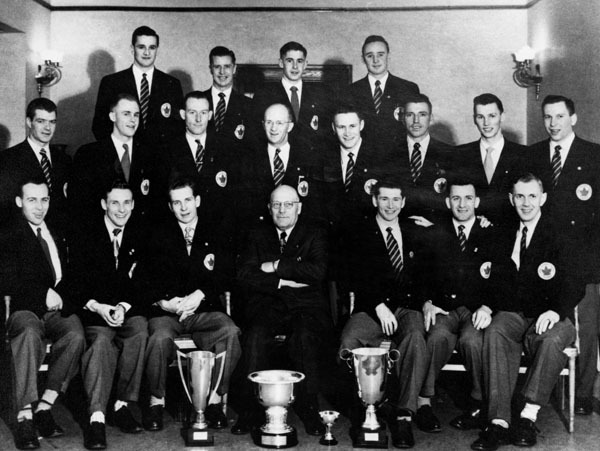 Harry Watson was the star of the hockey team, scoring 37 goals. 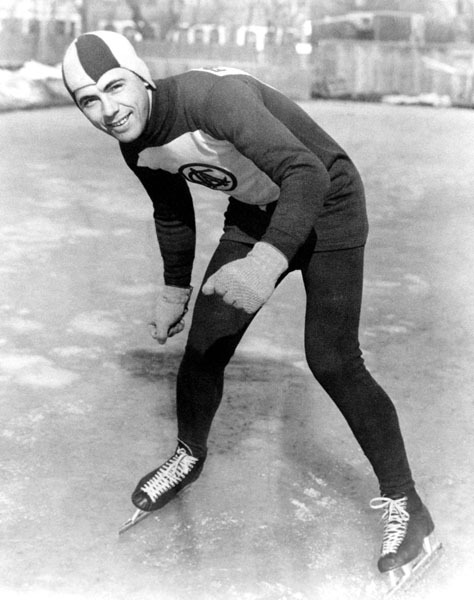 Charles Gorman, world champion speed skater, circa 1921. 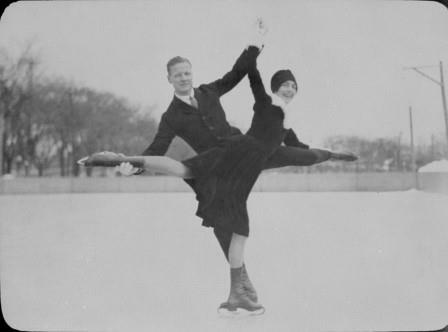 Winning pair (Melville Rogers and his wife Isobel [Tish] Blythe) in figure skating competition, University of Ottawa rink, King Edward and Nicholas Street, Ottawa, Ontario, 1927.